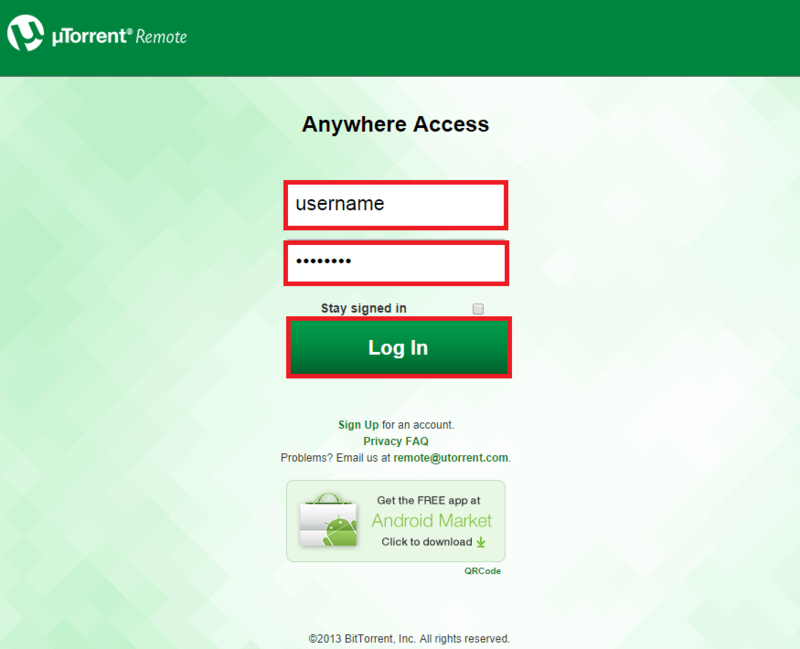 uTorrent has a built-in remote access via its WebUI but you may not want to deal with port forwarding or getting a free dynamic dns. 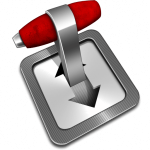 There is another option for uTorrent through its own remote access service. The basic idea is you create an account which you can then log in to from any web browser and manage uTorrent. 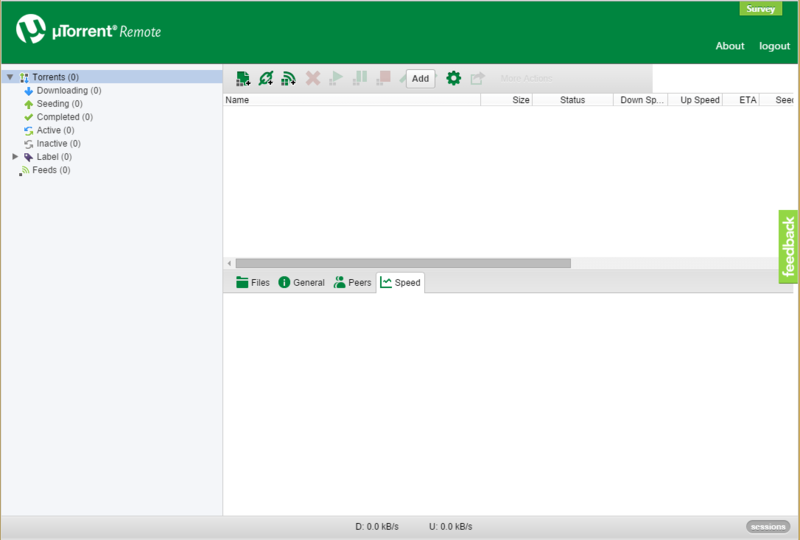 It is very straightforward to configure, here is my setup uTorrent remote access without the WebUI guide. No port forwarding or anything required, it will also let you access uTorrent from behind a VPN if you are connected with PureVPN. I personally use the WebUI but it may intimidate some users. 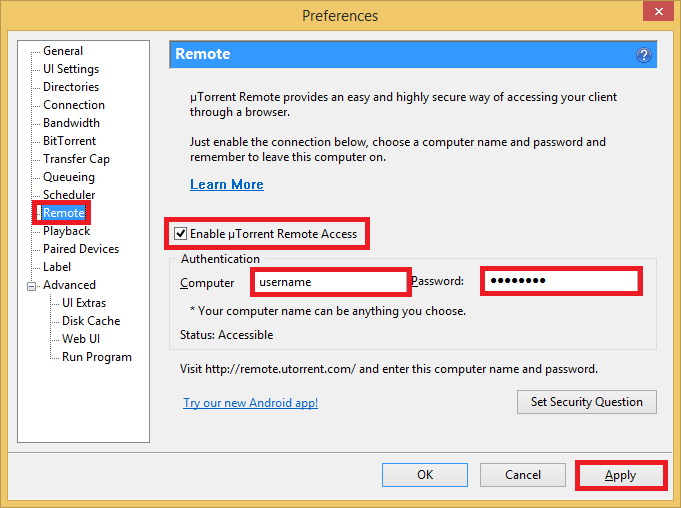 Here is an alternative method for uTorrent remote access. Open up uTorrent and go to Options -> Preferences or hit Ctrl+P on your keyboard. Choose Remote on the left pane. 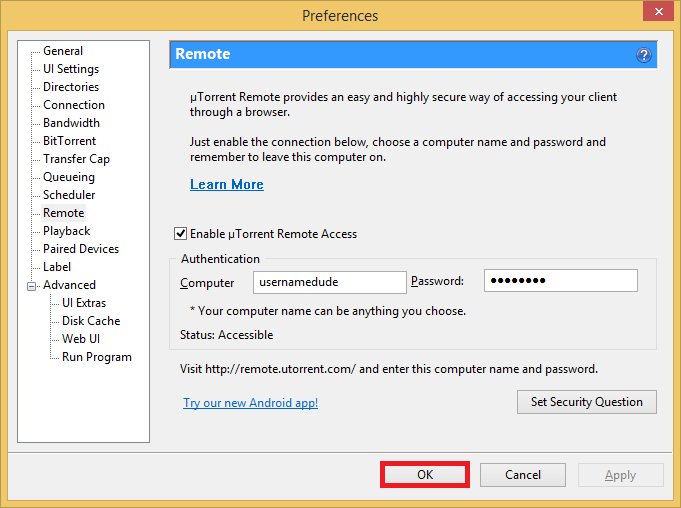 Check Enable uTorrent Remote Access. Now choose a computer name which will be your username, choose something unique. It is confusing they chose computer name instead of just username but just keep it in mind. Choose a safe password. Click Apply. You will get a pop up about a security question. This is in case somebody else has chosen the same username as you or somebody else chooses your username. You will see this web interface. 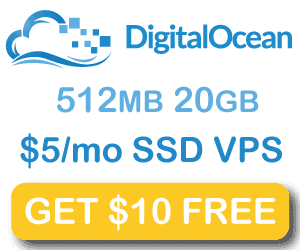 Enter your username (computer name). Optionally you can check off Stay signed in. You should now see this uTorrent WebUI. You can see how similar it is to the actual interface in the micro torrent client. You can now copy magnet links from your favorite torrent site and paste the URLs in the WebUI. 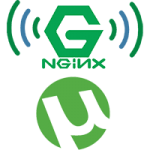 This is particularly useful if you are away from home and want to manage uTorrent. If you are torrenting regularly, do use a VPN like PureVPN to protect your safety and privacy.